(Nanowerk News) In June 2012, a 60 year-old man with flu-like symptoms walked into a private hospital in Jeddah, Saudi Arabia. 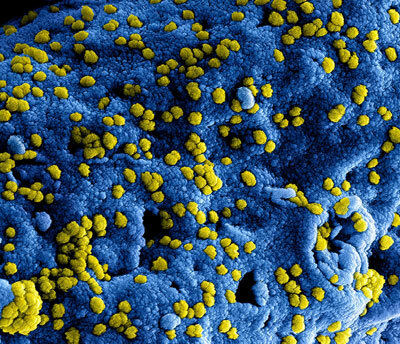 Two weeks later, he died from multiple organ failure, becoming the first victim of a mysterious virus that came to be known as Middle East Respiratory Syndrome or MERS. 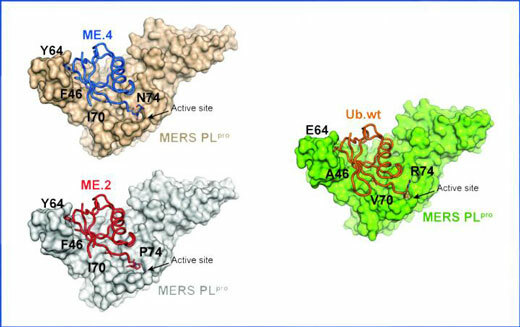 Writing in the journal PLoS Pathogens ("Potent and selective inhibition of pathogenic viruses by engineered ubiquitin variants"), the team led by Professor Sachdev Sidhu, of the Donnelly Centre for Cellular and Biomolecular Research and Department of Molecular Genetics, describe how they turned ubiquitin, a staple protein in every cell, into a drug capable of thwarting MERS in cultured human cells. Because the technology can be applied to a wide range of pathogens, it could become a game-changer in anti-viral therapeutics with implications for human health and the farming industry.